TTi (Thurlby Thandar Instruments) is a manufacturer of electronic test and measurement instruments. These products are sold throughout the world via carefully selected distributors and agents in each country. They are located in Huntingdon near to the famous university city of Cambridge, within one of the high technology areas of the United Kingdom. All TTi products are designed and manufactured at their Huntingdon facility here within the EEC. Aim Instruments is a sister company that also produces electronic instruments. 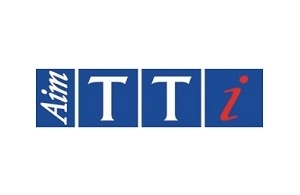 The portfolio of products from Thurlby Thandar Instruments (TTi) and Aim Instruments is grouped under the overall banner of Aim-TTi.